Research of paints and coatings, polymer and fibrous materials, chemicals, materials and alloys, alcohol containing mixtures, petroleum products and lubricants glass, ceramics and products of them. Paints, paint coatings, objects with painted surface as well as separated from them parts of substances with paint nature are often carry the forensic information about commission of a crime (murder, theft, road accidents, etc.). Some of such objects that have certain connection with the investigative event are involved in the case as material evidences and sent to the forensic examination of paints and coatings. – subjects with traces of contact interaction with paint surfaces ( for example, clothes with pain spots, tools of breaking in of painted obstacles, as well as tools and equipment that are used for performing of work with paint materials. – a certain set of painted objects or volume of liquid and (dry) paint materials. • Does an object-carrier contain certain parts or layers of paint materials or painted surfaces? • Does the substance detected by an investigator belong (including on the surface of the object-carrier) to paint materials or painted surfaces? • Were the particular objects in the contact interaction? • What is the type of applying of painted surface on a certain objects? • Was a surface of a certain object (details of a car, etc.) painted in full or partly? • What type of polymer was used for production of this object? • Does the object-carrier contain certain parts or layers of polymer materials (rubber, etc.)? • Does the substance, detected by the investigator (including on the surface of object-carrier) belong to polymer materials? • Do the comparative samples of polymer materials have common generic or group affiliation? • Does the object-carrier contain foreign fiber-layers, what is the characteristic of them? • Are there any fiber-layers of common generic (group) affiliation with fibers, that have been used for production a suspect`s (victim`s) clothes? 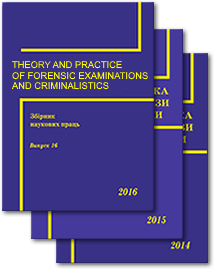 • Does the subungual contents of microscopic section of a victim (suspect) contain fibers of the common generic (group) affiliation with fibers of suspect`s (victim`s)clothes? • Does the real fiber structure of the item correspond to the indicated on the marking type? • What is the quantitative composition of natural and chemical fibers in this sample of knitted fabric? • Do the provided for the research objects belong to petroleum products (substances of petrochemical nature)? If they do, to which exactly? • Are there any spots of petroleum products, lubricants, highly flammable and combustible liquids (in the remains taken at the place of fire) on the provided for the research objects? • Does the provided for the research sample of petroleum products meet the requirements of currently in force standards in Ukraine (DSTU (National Standard of Ukraine) and TU (Technical Conditions). 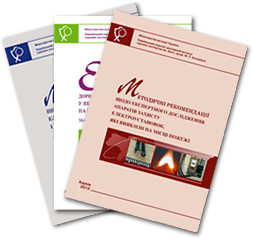 • To what characteristics do the provided for the research objects correspond Ukrainian Classification of Goods for Foreign Economic Activity? (it is researched in the framework of complex examination of petroleum products, lubricants and judicial commodity examination)? • Do the provided for the research sample of petroleum products have common genetic, group affiliation? Did they form one whole volume (one single mass)? Issues connected with the affiliation of the provided objects (petrol, diesel fuel, fuel oil, black oil, gas, solvents) to all requirements of in force standards conducts in the framework of commission forensic examinations (expert research),which are conducted with the testing laboratory "Universalnaftohim" (accreditation number 2T 495, valid to 08/29/2018). • Is the oil, poured from the engine of a car in the condition that is capable to provide further proper work of the engine? If it isn`t, what are the changes in the condition of engine oil? • What is the composition of the provided for the research elements? • Does the material of the provided for the research objects have common generic (group) affiliation? • Are there any traces of drugs, psychotropic substances, their analogues and precursors on the object-carrier (it is indicated on which one exactly)? If they are, what exactly? • Is this substance a drug, psychotropic substance, its analogue or precursor and what exactly, what is the amount and mass (in dry condition, etc.)? • Do the provided drugs, psychotropic substances, their analogues and precursors have common generic (group) affiliation? • Do the provided drugs, psychotropic substances, their analogues and precursors have the same source of origin in terms of qualitative and relative numerical composition? • Are there any traces of liquids that contain ethyl alcohol in the provided for the research container or on the surface of the object (on clothes, on paper)? • Does the provided for the research liquid contain ethyl alcohol? • Does the provided for the research liquid meet the currently in force standards of Ukraine? • Is the provided for the research liquid wine, what material was used for its production and what is the type of this material? 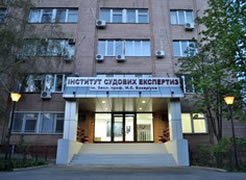 Does it meet the requirements of DSTU (National Standard of Ukraine)? • Do the characteristics of liquid in this bottle correspond to the characteristics of beverage that is indicated on the label? • What method was used for the production of the alcohol-based (industrial, homemade)? • Do the provided for the research samples of alcohol-based liquids have the same generic (group) affiliation? • What is the composition of elements of the provided for the research objects? • What are the reasons of destruction of the provided for the research objects (details of vehicles, equipment, etc.)? • Are there any defects and if they are ,what defects do the provided for the research objects have? In the framework of this examination, primarily researches of substances with acrid characteristics (composition of specialized substances - gas cylinder, specialized chemicals – luminophors are conducted. Does the provided for the research gas cylinder contain acrid substances, if it is so, which ones? Are there any traces of arid substances on the provided for the research objects? If they are, what exactly? Do the provided for the research objects contain trace of acrid substances (money, things of value, items of clothes, handwipes or wipes from surfaces of objects) layers of the specialized chemical substance (luminophor)? If they do, do they have common generic affiliation with the sample of the specialized provided for the for the comparison chemical substance?